If I were to ask you why oranges and other citrus fruits are good for you, you'd probably tell me it's because they're rich in vitamin C. And you'd be right. But that's not all these fruits have to offer. Thanks to their abundant antioxidant content, new research suggests that they may actually be able to help prevent the health risks associated with obesity. This is good news for us in the West, as over one-third of all Americans are obese, thanks in part to our highly processed, high-fat diets. But according to research recently presented at the 252nd National Meeting and Exposition of the American Chemical Society, citrus fruits could help prevent this condition. And it can help lower your risks of heart disease, liver disease, and diabetes that accompany carrying excess weight. As you may know, eating a highly processed, high-fat, high-calorie diet contributes to weight gain. 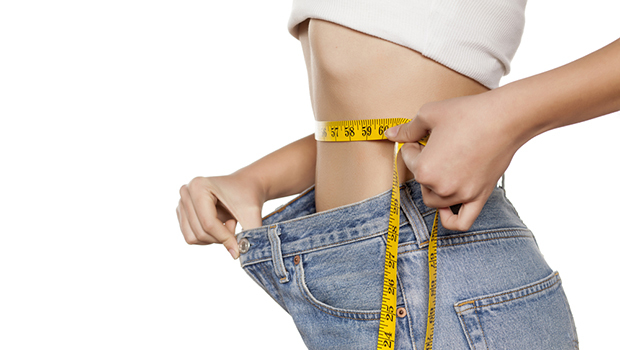 Weight gain means that you're accumulating larger and larger fat cells. And these fat cells generate the reactive oxygen species that create damaging oxidative stress. Our bodies combat this stress with antioxidants, but the more reactive oxygen species we're producing, the more antioxidants we need to fight them. This is where citrus fruits may be able to help. The fruits are high in antioxidants, including a particular type called flavanones, which can lower levels of oxidative stress. So, for this new study, the researchers decided to investigate whether giving flavanones to mice who were fed a high-fat diet would help them. The research team gave 50 mice either a standard diet, a high-fat diet, or a high-fat diet plus one of three flavanones found in oranges, limes, and lemons. Levels of cell-damage markers called thiobarbituric acid reactive substances (TBARS) skyrocketed in the mice on the high-fat diet. They were up 80% in the blood and 57% in the liver compared to the mice who ate a normal diet. But the various flavanones decreased TBARS in the liver by 50-64% and in the blood by 47-48%. The mice also had lower levels of fat accumulation and damage in their livers. While the mice didn't actually lose weight, those who received the flavanones were healthier overall. They had less oxidative stress and lower blood lipid and glucose levels in addition to the reduced liver damage. This should decrease their risks of developing cardiovascular disease, insulin resistance, and possibly even abdominal obesity. While these results need to be recreated in humans, we know that antioxidants are good for us. Flavanones hold great potential for all of us — you don't have to be overweight to benefit from flavanones. While they certainly won't cancel out the disadvantages of a high-fat diet, citrus fruits can help mop up the reactive oxidative species we're always trying to fight. Why not get the best of both worlds to maximize your health. Simply squeeze a slice of lemon (preferably organic) into your water and let the lemon rest in your glass. This is a great beginning to adding flavanones to your daily routine.